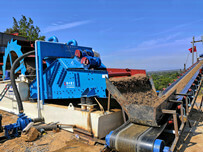 Dewatering screen is a special equipment for san, coal, slime dewatering operation. It is widely used in coal slurry recovery, coarse pressure filtration, coarse filtration, and other dehydration and recovery of other fine materials. 1. Dewater screen is a new structure of high-efficiency vibrating screen equipment that designed with new principle. 2. Especially for the screening of fine particles. Screening paricles: 0.074-3mm. 3. The vibration exciter drives screen through the transmission mechanism for high frequency vibration. The vibration system is designed to work in the near resonance state, so the whole machine is damped and supported, and the ground does not bear the dynamic load. The screen machine does not need to be made into a foundation, can be installed directly on a solid and flat ground or an ordinary steel structure platform to work normally. 4. The vibration frequency of screen is 50Hz, the amplitude is 0~2mm. And the vibration intensity is 8~10 times of gravity acceleration, which is 2~3 times of vibration intensity of general vibrating screen. 5. The screen panel is consists of three layers of different flexible screens. The bottom wire rope core polyurethane mesh is a support net, and a double-layer stainless steel wire braided composite mesh with different wire diameters and mesh holes is laid on the upper surface. The composite mesh layer is a working net, which is directly in contact with the material for screening work, and the lower layer of the composite mesh is used as a bottom mesh for distributing force and transmitting vibration to ensure high screening efficiency and long service life of the working net. There are hooks at both ends of the screen to facilitate the loading and unloading of the screen and to adjust the tension. 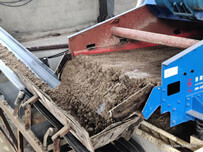 The feed buffer sieve plate distributes the slurry evenly to avoid damage caused by direct impact on the screen. 6. 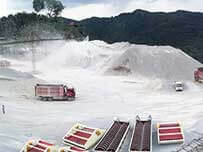 The installation angle of dewater screen is convenient and adjustable, and the inclination angle of wet screening installation of the concentrator is generally 25 ± 2°. 7. The side plate of screen box is integrally bent and formed by steel plate, which not only improves the overall rigidity and work reliability of the screen machine, but also has a more beautiful appearance. 8. The sieve machine can be equipped with different types of electric control cabinets according to different needs of customers to realize various additional functions such as parameter setting, remote centralized control, history recording and fault alarm. 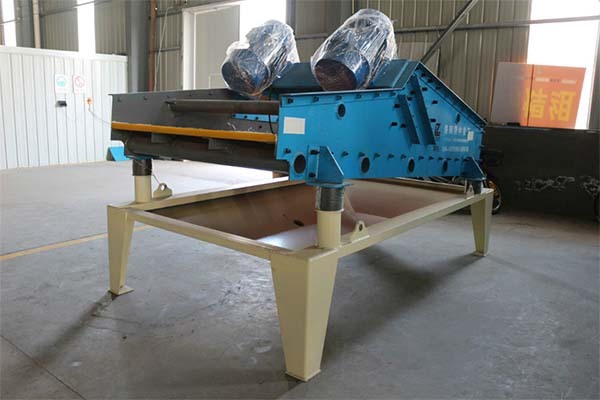 LZZG can offer you variety types and function dewatering screen, including vibrating screen, mining dewatering screen, silica or potash feldspar dewatering screen, coal dewatering screen, barite dewatering screen and so on. There will be have the one that can suit your product. 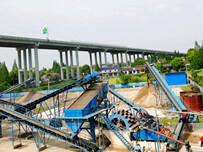 Previous：How improve the output of fine sand recovery machine?